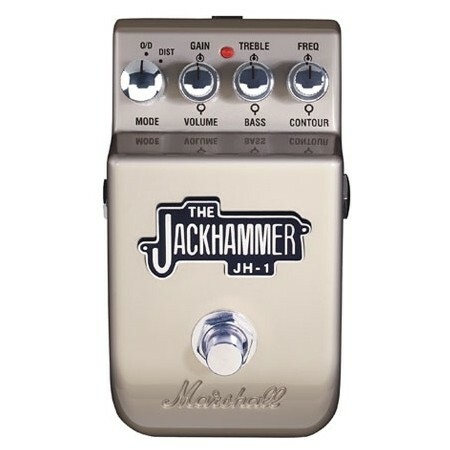 JH-1 The Jackhammer, Distortion from Marshall in the Effects series. 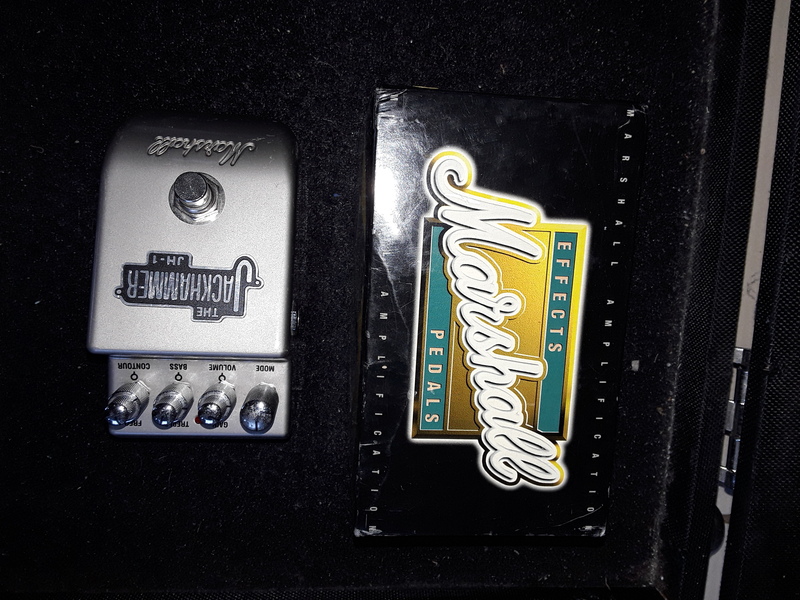 papaki72's review"Well built with wonderfull distortion"
I am using it to boost some distortion to my guitar on the Marshal Mustang II (v2) amplifier. It does it well! Strong and rich with many ways to shape it up to your taste. Limit the overdrive channel of your amp to a quarter and start cranking up the distortion up to where you like it. It can be smooth and just enough to give some taste of distortion to your clean tone, or loud with a hard bite to make your shredding as angry as ever. I do not use much its overdrive as I am happy with what my amp gives on it. A freind purchased from Michael's Music in Irving Texas for me. 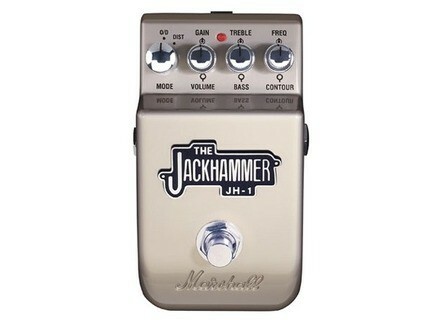 Despite the fact that this is a tweakers pedal, it has numerous settings that produce solid Marshall bad a$$ sounds. They are warm even though this pedal has no tubes. Perhaps that it doesn't have that much variation in sounds. Not enough to make a huge difference. I mean, it has an older Marshall crunch and a modern heavy sound, but no spectrum other than that. Metal construction, not plastic. Very durable - gigged on and off for years with no problems or a backup. Very reliable. This thing is awesome. I use it to get different types of distortion other than my Deville amp. Definitely recommended. 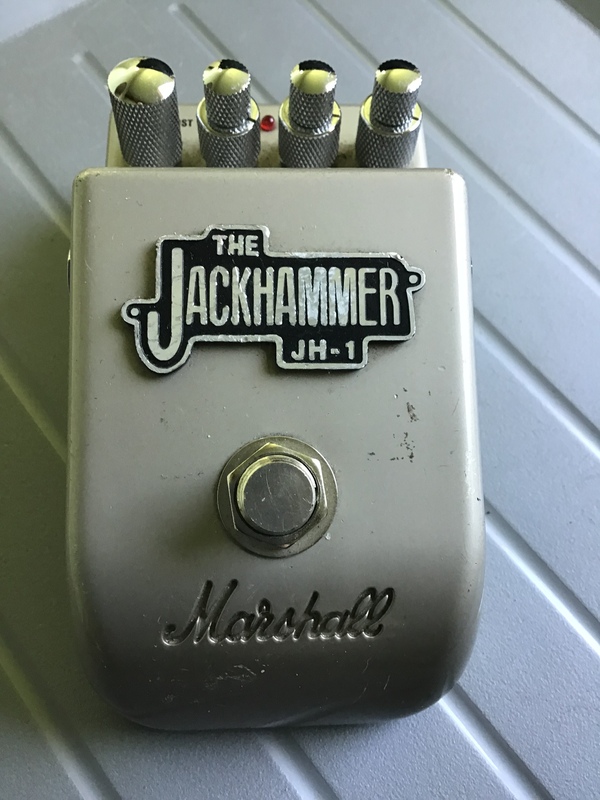 MGR/That kid with the guitar's review"Marshall Jackhammer JH-1"
I got It as a Birthday present, but I know that it was acquired from one man band, in Banbury, England.It cost £45 which is about $78. I dislike the way that you cannot control how heavy the effects are, as it is merely turned on with a button, meaning tedious time spent fiddling with gain. Also there are two different effects (overdrive and distortion), which could be considered a good point... exept the fact that they both sound exactly the same! Extremely good. 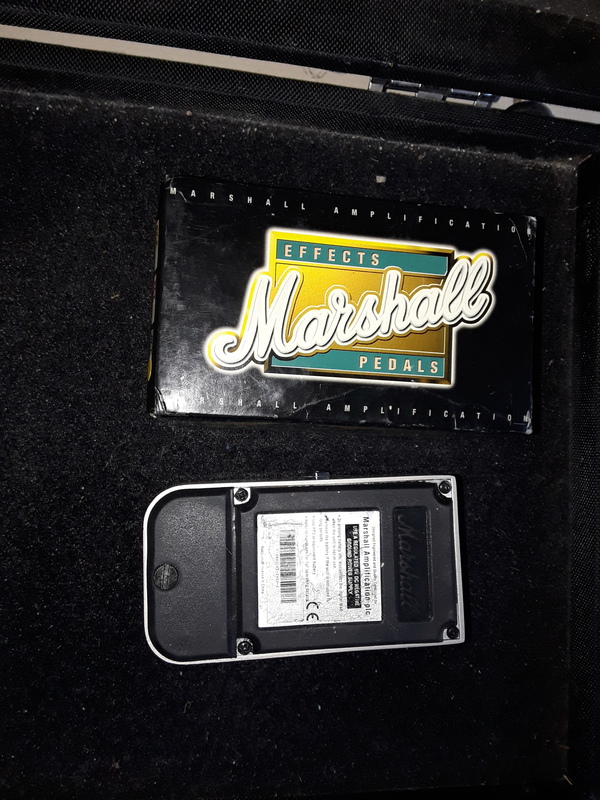 the look and wieght are just right for a marshall product, it will take any amount of bashing,and will last forever. 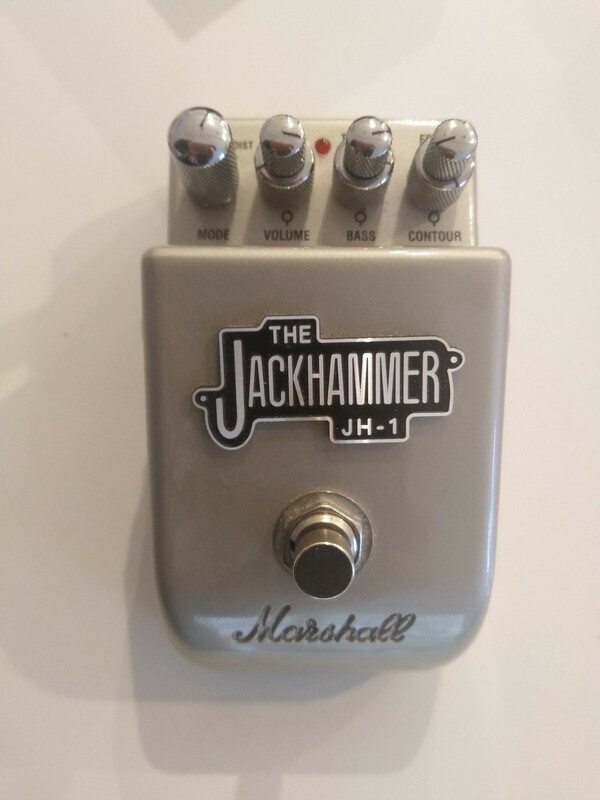 A good effects pedal for begginers,but if its rapid effects mellowing and strengthening again you want then I'd shop around for something else.